Anointed after God’s own heart. Am I Saul or Solomon? A Worse King or a Cursed King? Did I kill Uriah a hundred times in sleep? Did I betray the dread Lord of Legend? Make every heart his sword. Is my soul a wastelast or is it full? If it is full, is it full for you my Lord? I do not hear them. Or will I break like the Law at Sinai? Will I be chained like Samson? Are there Prophets to help me? Is there a Dragon to give me half his heart? 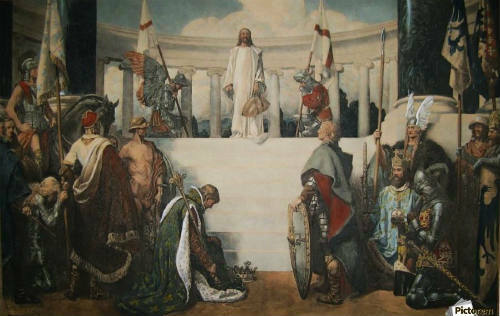 Or am I alone, without the greatest King? Skytrain to Nowhere is an imagination driven and esoteric volume of free-form poetry. The book documents the author’s experiences, thoughts and observations while riding the skytrain at Phoenix Sky Harbor International Airport over the period of several weeks. Since the skytrain is only designed to transport travelers between various terminals and parking facilities at the airport, someone spending nearly 50 hours riding it purely for recreation and artistic inspirational purposes is highly unusual (to put it mildly.) Aside from occasional quirky anecdotes about various passengers, the poems mostly deal with themes of motion, the passage of time, and nostalgia. The author grapples with these issues from a retro-futurist perspective. Skytrain to Nowhere celebrates the realization that our vitality hinges on our ability to always keep moving, while recognizing we are unwilling or unable to leave some things behind on the journey. 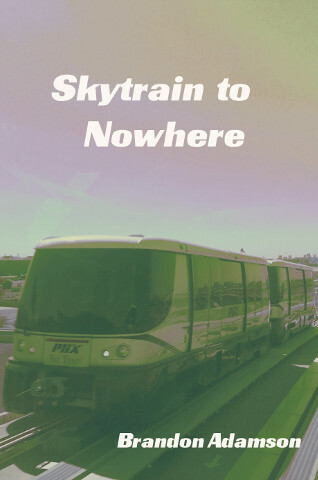 Purchase Skytrain to Nowhere on Amazon. 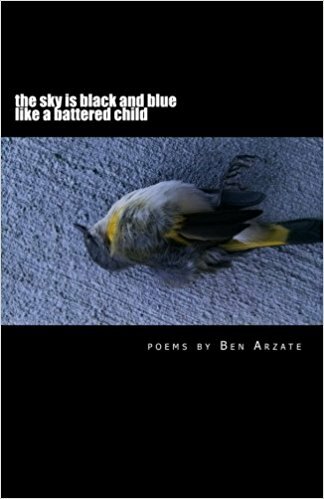 For those that might be unfamiliar, Ben Arzate is well known in certain circles as a prolific reviewer of alternative literature and edgy political books. In fact, he may be the most prolific indie book reviewer in contemporary times. Yet, he manages to find the time between readings to author some lit of his own, such as his recent poetry chapbook, the sky is black and blue like a battered child. At only 25 pages (with some poems only making up a fraction of a page,) it is a true chapbook. Though brief, the book somehow manages to retain enough fullness to pass as a complete work. As a minimalist, I appreciate this in a way others may not. It’s always a good sign though when a poetry book leaves you wanting more, which is the case here. Despite the mildly disturbing title, there is nothing particularly offensive in the book’s contents, save for a couple of lines (you’ll know them when you see them.) If there are observable themes in this work, they would seem to be loneliness, regret and despair…peppered with a touch of apathy. I found it interesting that in several places, analog “tv static” (also known as white noise and famously depicted in the film Poltergeist) is referred to as being something desirable to watch (though it is unclear whether the author approves.) I can relate to this in that I used to love watching TV static. There is something very calming about it. In fact, back when I used to work in Cubesville, there was a youtube video that simply played 10 hours of tv static, which I would blast into my headphones to drown out the sound of my chubby co-workers making disgusting noises as they gobbled up the unhealthy snacks provided to keep them happy, well-fed and productive cubefarm animals. That’s actually my favorite line from the book and sounds like my kind of afternoon. Arzate frequently makes use of unconventional structuring in his poems, the sort of which would annoy reactionaries and traditionalists in the lit world. Being that I can’t stand those types of people, I perversely enjoyed these deviations all the more. Some poems consist merely of a single sentence, phrased as a question. There is also a poem titled “Reflection Text” in which all of the writing is reversed, requiring a mirror to read unless you’re one of the doppelgangers in Journey to the Far Side of the Sun. Another poem I relate to in this collection is Brad, which briefly chronicles a person receiving wrong number phone calls from a woman and being disappointed when the calls stop coming. There are lonely points in a man’s life (particularly a reclusive writer or artist’s life) when human contact is so minimal that even the slightest, superficially pathetic “romantic” interaction or empty fantasy can be gratifying. the sky is black and blue like a battered child very much reminds me of 90s zine poetry, both in tone and style. It has a pre-internet quality to it that’s difficult to put into words, but one which someone my age will instantly pick up on. Even though Ben Arzate appears to be about ten years younger than me and firmly within the millennial demographic, this strikes me as a precociously Generation X book. Arzate’s refreshingly not trying to save the world, fight social injustice or do much of anything here. Still, the sky is black and blue like a battered child succeeds in punching above its slim weight. or so my feeble mind wagered at the time. they were about to begin to get good. all things will begin to end. while flying high at one of the low points in my life. than it ever was in the beginning. leads to ever more and more complicated math. for trying and failing miserably in the first place! enough to make you dizzy, enough to make a man off and jump. it seems the only redemption is beyond. caught in your own private episode of the twilight zone. is indeed a long one, so wish for me safety in this unpleasant journey. perhaps the only redeeming quality(if any). such is the flight experience on the airline of the times. could someone please turn this plane around? but you fear that they no longer exist. peering into your past, going back even one minute! always reveals an inexperienced pilot..
the fare you pay to fly on your own.